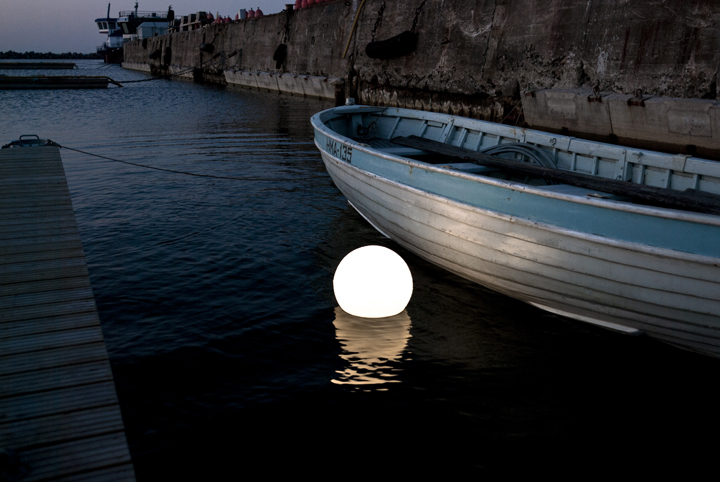 Margus Triibmann of the Estonian design studio Keha3, designed this LED lit buoy. Made of translucent polypropylene, the buoy comes a 15 meter waterproof cable. The accompanying documentation helpfully points out that by placing the buoy on land, the buoy can be used as a decorative hanging lamp or as a floor lamp when provided with an appropriate stand. This entry was posted in architecture / furniture, installation / sculpture and tagged keha3, leds, ledthrowies, lighting, margustriibmann on May 30, 2013 by jonathan.